Board Director – D. Maurice Herring’s formal education on health and wellness includes a B.S. in pre-med biology and chemistry from Seton Hall University and an M.S. in community nutrition and food science from Cornell University. He has actively promoted healthy people and a healthy planet through his work as a full-time nutritionist. 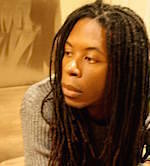 He has also been involved with the Vegetarian Society of DC as the Editor of VSDC News from 2004-2010, as a VSDC Board Member from 2005-2010, and as the Director and Instructor of the 2007 VSDC Eat Smart Program – an outreach nutrition program prioritizing African American women in Washington, DC. Board Director – Dr. Tushar Mehta is a vegan M.D. who practices family, emergency, and addiction medicine in Toronto, Canada. 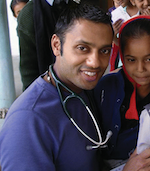 He also does volunteer medical work in India, at the Sree Bidada Sarvodaya Trust hospital in Kutchh, Gujarat. Dr. Mehta has volunteered with several environmental, social and animal justice organizations, including Project CANOE (an organization supporting at-risk youth), and the Sea Shepherd Conservation society, with whom he served on a 3 month anti-whaling expedition in Antarctica. Dr. Mehta’s research interests include the medical and nutritional benefits of a plant-based diet, and the impacts of animal agriculture on the environment and global food security. 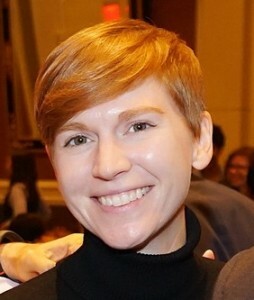 Director of Grants and Gifting – Melanie Hiller is a longtime animal and human rights advocate passionate about the interconnections of these movements. Studying varied and often mutually-influencing systems of privilege and oppression, she holds a degree in Justice & Social Inquiry from Arizona State University. Melanie previously worked as a Research Program Coordinator for the Physicians Committee for Responsible Medicine and her background is in marketing, project evaluation, and program management. Her diverse and extensive volunteer work includes: facilitating of transgender patient care trainings for medical providers, repairing hurricane-damaged homes and community spaces, and assisting visitors at her local national park. 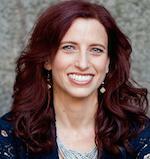 Writer, Researcher & Outreach Specialist – Ashley Capps holds an M.F.A. in Creative Writing from the University of Iowa Writers’ Workshop. Her first book of poems is Mistaking the Sea for Green Fields. 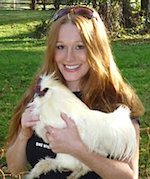 The recipient of a 2011 National Endowment for the Arts Fellowship, she works as a writer, editor and researcher specializing in farmed animal welfare and vegan advocacy. 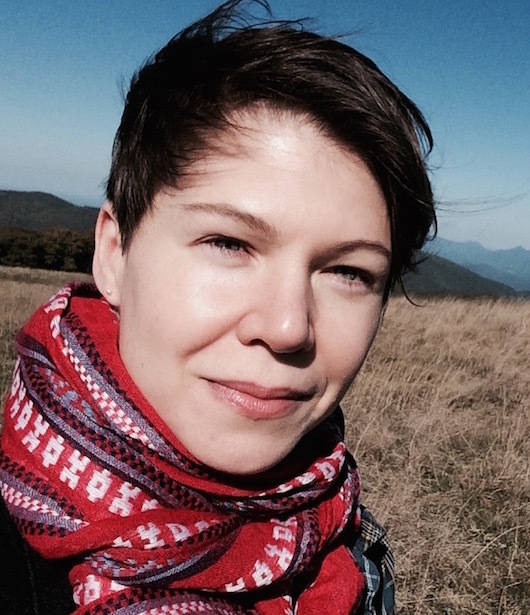 In addition to being a core team member at A Well-Fed World, she is a writer and editor at Free from Harm and a Board Member at Brother Wolf Animal Sanctuary. Ashley is a driving force behind AWFW’s Humane Facts and Let Live campaigns, and the founder Milk Hurts, a comprehensive anti-dairy campaign, which includes the Mothers Against Dairy. Learn more at her website. Graphic Designer – Robin Helfritch is the founder of Red Robin Design, Inc. She has more than 15 years professional design experience in the graphic and web design industry. Her talents include graphic design (both print & digital), web design and authoring, animation, digital image editing and creative manipulation, logo design, interactive CD authoring, Flash and PowerPoint presentations, package design, and trade show display design. She has won many industry awards for her work. 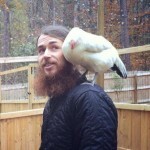 Additionally, Robin donates time to grassroots animal and vegan groups, and sponsors rescued farm animals at sanctuaries. 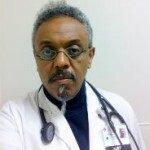 International Fund for Africa / Organizational Partner – Anteneh Roba is a board certified emergency medicine physician practicing in Houston, Texas. He is president and co-founder of the International Fund for Africa (IFA), a nonprofit organization and a registered NGO in Ethiopia dedicated to helping both human and nonhuman animals in Africa. Through his organization, Anteneh Roba has worked to improve healthcare for children in Ethiopia and to make medical care accessible to the people of rural Ethiopia. He has also worked tirelessly to improve the welfare of homeless animals and working animals in Ethiopia. Additionally, through IFA he promotes the adoption of a plant-based diet across the African continent. Roba frequently lectures on the health benefits of a plant-based diet and on human and nonhuman animal issues affecting Africa. International Fund for Africa / Organizational Partner – Seble Nebiyeloul holds a Bachelor of Arts degree in allied health and a Master of Science degree in health-care administration. Since 2001, she has served as the site and managed-care director of the Morris Heights Health Center in the Bronx. 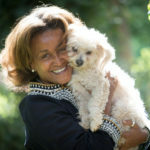 With Anteneh Roba, she co-founded the International Fund for Africa, a nonprofit devoted to helping both human and nonhuman animals in Africa. 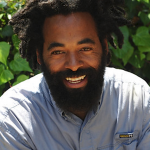 Veganic Farming & Growing Specialist / Organizational Partner – Eugene Cooke is an internationally recognized food justice activist and urban farmer utilizing exclusively veganic growing methods. With his wife, he founded Grow Where You Are, a program that transforms urban spaces in underserved neighborhoods by creating community food gardens & vegetable farms. Over the past 10 years, Eugene has assisted in the creation of 18 urban farms, 14 school gardens, and over 40 home food gardens, and has planted 400+ fruit trees in cities throughout the U.S. as well as in Jamaica, Haiti and Kenya, where he trained local residents in veganic growing methods. Eugene is committed to demonstrating that we can grow abundant food without exploiting animals, harming the environment, or depleting ecosystems. At his current farm site he focuses on growing methods that also promote ecological restoration. Check out the fundraiser for GWYA’s newest farming project, which will not only increase access to fresh produce in urban food deserts, but also create a life-changing community center by doubling as a nature park, camping site, and observatory. Community Food Outreach Specialist / Organizational Partner – JoVonna Johnson-Cooke is owner and co-founder of MaituFoods, LLC, a vegan meal delivery service and vegan nutrition education hub. She holds a B.A. in Psychology. Through MaituFoods, she is working to develop culturally appropriate and accessible educational materials that highlight the benefit of healthy nutrition through a vegan diet. The MaituFoods’ Mother’s Meal Program works to provide women, especially those in modest means households, with the knowledge and guidance to achieve a healthy pregnancy and optimal postpartum recovery through a vegan meal and nutrition program. The overall mission of MaituFoods is to honor the art of food rituals, and to serve humanity in a way that promotes the least harm and the most good for people, animals, and the environment. As co-founder of Grow Where You Are, she works with a dynamic team of people committed to local food sovereignty by assisting individuals and communities in creating sustainable plant-based local food systems. 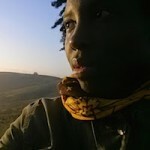 Community Food Outreach Specialist / Organizational Partner – Brenda Sanders is the Founder and Executive Director of the Afro-Vegan Society, and a founding member of the PEP Foods Collective and Thrive Baltimore community resource center. Brenda runs the Eating for Life program, a series of free workshops aimed at teaching people in low-income communities how to live a healthier, more holistic lifestyle and co-organizes the Vegan Living Program, a six-week education program. Brenda also co-created and co-organizes the Vegan SoulFest, an annual festival that celebrates culture and the vegan lifestyle in Baltimore City, in addition to organizing the Veganism Support Group for new and aspiring vegans. 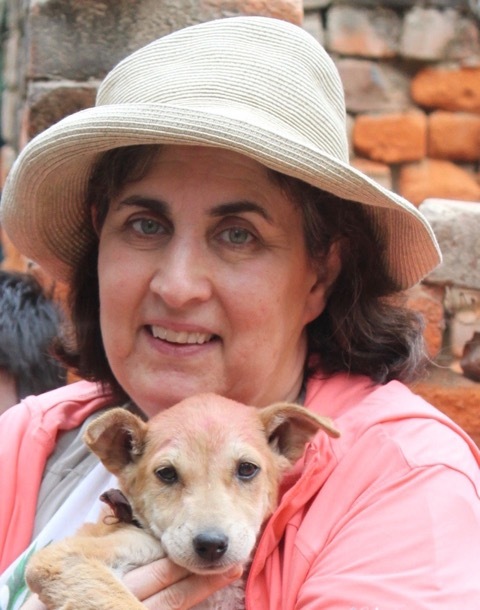 India Sanctuary Specialist / Organizational Partner – Eileen Weintraub is a life long animal advocate who began helping animals groups in India in 1998. During her many trips to India, she discovered the existing welfare/rights groups that, despite little support, were helping animals in extremely difficult conditions and against all odds. 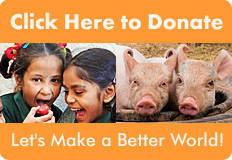 Being deeply impressed by the ways these dedicated people were making a big difference inspired her to start the U.S.-based nonprofit, Help Animals India, whose purpose is to advise, strengthen and facilitate the flow of support for worthy Indian animal protection groups from donors worldwide. 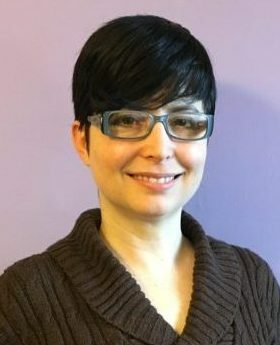 Communications Specialist / Board Advisor – Josephine Bellaccomo is a strategic communication consultant and executive coach, with a master’s degree from the New York University. She is a social justice advocate and the author of Move the Message: Your Guide to Making a Difference and Changing the World, a guidebook for community organizers, and a textbook in a Human Rights Advocacy course at Columbia University’s School of International and Public Affairs. She has been training professionals, from Associate to C-level corporate leaders, to communicate powerfully since 1995. 12-29-13: May our dear friend rest in peace. We miss you and your extraordinary contributions. Climate Change Specialist / Board Advisor – Dr. Robert Goodland served the World Bank Group as their Environmental Adviser for 23 years, during which time he drafted and persuaded the Bank to adopt most of its current social and environmental policies. He was elected president of the International Association for Impact Assessment, and Metro Chair of the Ecological Society of America. 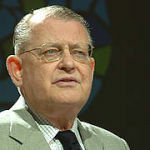 He was honored in 2008 as the first recipient of the Coolidge medal for lifetime achievement in environmental conservation, presented by the prestigious International Union for Conservation of Nature (IUCN). Food Waste Specialist / Board Advisor – Ariane Mass is completing her bachelor’s degree in English Literature with a focus on creative writing at Carleton College. She is the founding director of Compassionate and Sustainable Consuming, a campus club dedicated to promoting animal welfare. She also studied at Pondicherry University in Tamil Nadu, India for six months where she divided her extra time between volunteering at an orphanage for HIV infected children and a nonprofit providing educational services to village children called New Colors. 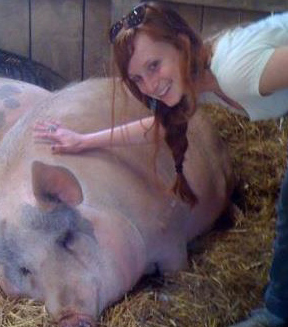 She also interned for Mercy for Animals and Global Goods Partners. Social Justice Strategy Specialist / Board Advisor – Christopher-Sebastian McJetters is a writer at Vegan Publishers, part-time lecturer on speciesism at Columbia University, and social media manager of Peace Advocacy Network. His work examines the complex relationships between animal violence, environmental racism, and classism. He teaches how veganism is a useful tool for deconstructing multiple systemic oppressions. He has contributed to Circles of Compassion: Connecting Issues of Justice, Barefoot Vegan Magazine, and the blog Striving With Systems, in collaboration with Justin Van Kleek & Rosemary Beaumanguer (TCA) and Aph Ko (Aphro-ism). Sanctuary and Microsanctuary Advisor – Justin Van Kleeck earned a Ph.D. in English but left academia in part to work on veganism, the environment, and other social issues. He is a freelance writer who has written for Our Hen House, Vegan Publishers, Project Intersect, and others, and he is co-editor of the anthology Letters to a New Vegan, published by Lantern Books. He and his wife, Rosemary, founded Triangle Chicken Advocates, a non-profit organization that runs a small microsanctuary for rescued farmed animals and promotes ethical veganism. They also founded The Microsanctuary Movement to inspire others to use what resources they can to provide sanctuary to animals in need. Outreach Specialist / Board Advisor – Maru Vigo holds an M.A. in Education in addition to her Modern Languages degree. She has been an advocate for social change for more than 30 years and works as a foreign language educator and translator. Her activism began in Lima, Peru. Since moving to to Arizona in 1987, her work has expanded to include public speaking, media presentations, statewide initiatives, advocacy training, and development of advocacy networks. 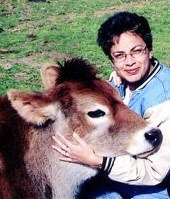 Maru is a correspondent for The Ark, the official bulletin of Catholic Concern for Animals and a certified Humane Education Specialist.